Would this be the correct way to enter them? I appreciate any thoughts or guidance. Yes, changing your MX records changes where you domain’s mail is routed. I would have assumed adding the custom MX records where just for help prevent flagging for spam / spoofing. I figured adding them, in additional to my Dreamhost settings wouldn’t affect it (unless DH MX servers where unavailable). 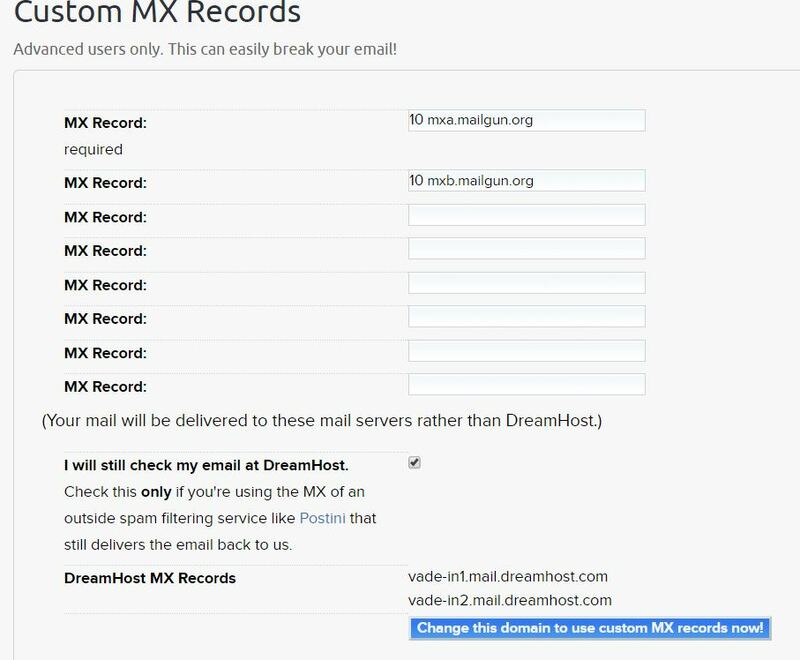 MX records route all of your domains INBOUND mail. Normally you point MX records to the primary mail server for your domain. Some Spam services do direct you to route your domains mail directly to them, so that they can act as a middleman and process the mail before forwarding it on to your primary mail server.